Your optical is the heart of your optometric practice, and the first impression. As a new graduate and dispensary owner, it’s vital to capitalize from optical sales. I have found 85-90% of my total profit comes from my optical each month. Although this is higher than industry standards, I designed my optical with this goal in mind. As reimbursements in eye exams and ancillary testing decline, new graduates must see more patients or collect more from each patient. In a world where online sales grow each year, you must find a niche in optical products. You must find ways to entice patients to purchase from you. The optical environment you design and the optical products you select can either promote or deter sales. 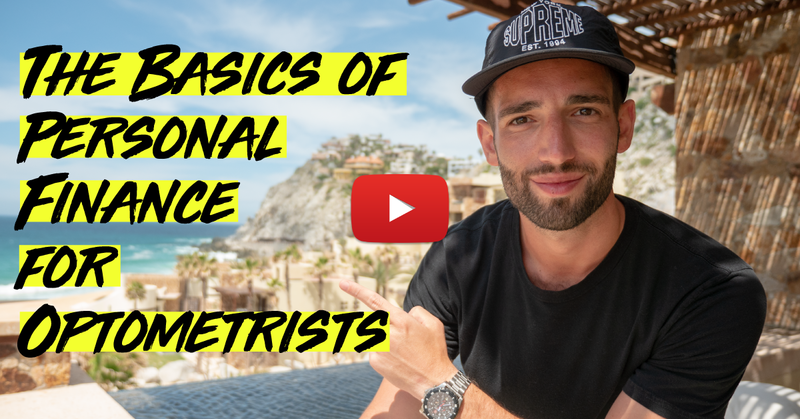 These questions will be answered differently by each Optometrist, but what is important is that the patients see who you are reflected in the space. How is your practice different from the one down the street? What is your practice’s mission statement? What type of retail store do you like to visit and why? If you could spend the day anywhere, where would it be, and how can you create that? What motivates you to spend money? What kind of atmosphere would you prefer to work in? What do I need in order for this space to be functional for myself and my opticians? Who are your patients? Ages? Any special modes of practice? Do you have space to grow? How will you showcase the latest technology? While you are considering the functionality of your space, it’s helpful to talk to other doctors about what has and has not worked for them. Also consider the rotations you have been on and what you would do differently. There are companies that will design your space for you; however, I have found they come with a hefty price tag and rarely look unique. Not only is their customer service superb, but their products are high quality. Independent companies will resolve issues you may have quickly with one phone call-which is important in establishing your reputation with patients. Furthermore, each frame line I bring into my optical has a story and an identity. Patients fall in love with frames when they hear how they are handcrafted from natural materials or worn by Elton John. They feel good about purchasing a frame when the same frame is donated to a child in a third world country who otherwise would be missing out on the gift of sight. Use the answers to the above questions to build an optical you love complete with eyewear you are passionate about because if you are, your patients will be also. Create a plan on paper – Once you have a general idea of the above, it’s time to put your plan into action. Lay out your space – I recommend using the app Floorplan Pro. Devote adequate space to your optical, no one wants to shop in a closet. Contact lens companies and frame reps – I recommend meeting with all of the big 4 lens companies to make the most educated decision on who you would like to work with. Visit my favorite website, Luxury Eyewear Forum to find unique frame lines. Don’t be cheap about the lines you bring in because high-end frames bring in high-end patients. Meet with an architect – Make sure you are specific about all of your desires from light fixtures to types of doors. Get bids on your build out from 3 different contractors – Bid can vary by thousands to tens of thousand of dollars. Again, make sure you are specific in your desires, change orders are expensive! Remember, the more you can do yourself, the less expensive! I spent $25 dollars on each of my waiting room chairs by shopping at Habitat for Humanity, and changed the look with $3 spray paint and upholstery. If do-it-yourself is not your style, owning a practice is probably not for you. A new optometry graduate must be a jack of all trades! If your optical is unique by using all of the above elements, it WILL get talked about. Word-of-mouth is the best marketing and it’s free! Niche opticals and niche products are more likely to build loyal patients, and that’s what every new graduate needs! I joined Vision Source due to the buying group aspect because as a new independent practitioner, cost of goods is key to positive profitability. What I found is local camaraderie. I have several doctors that have been in practice for 20 years that I can text message when I have a question, and a group of my peers that I can Facebook to ask – How are you doing this or that in your practice? In an optometric world where insurance companies are over-stepping their boundaries and healthcare is up in the air, I don’t feel it’s me against the world. It’s Dr. X and Dr. Y, and I taking a stand for the future of independent Optometry. If you are interested in becoming a Vision Source practice check out their website. They have great deals for new grads! Also, here are links to their programs which will really help you to succeed. This is a great article, Dr. Dryer! I love the personal flair that you incorporated into designing your optical dispensary. One thing that I would like to add is that Vision Source members are also able to get in touch with their Member Services Manager or the Vendor Relations Department so that they know which vendor specials will work for them. If anyone out there is interested, then please reach out to me and I can connect you with the right person.